The Brembo Big Brake Kit for BMW 335i xDrive F30/F34 provides the best braking performance and handling for the street or track. Are you looking for the ultimate high-performance braking system in the market for your BMW 335i xDrive F30/F34. 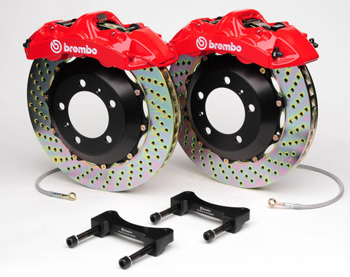 With the Brembo Big Brake Kit, you will be receiving the best performing and highest quality high-performance braking systems in the market. 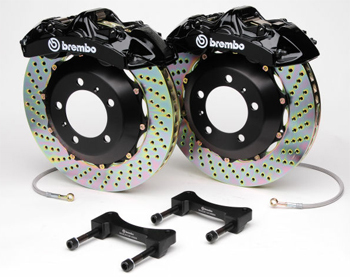 The perfect upgrade for the car enthusiast wanting the best braking performance for their BMW 335i xDrive F30/F34, the Brembo Big Brake Kit includes stainless steel brake lines and high performance brake pads for a dramatic improvement in stopping distances. You will also notice a more consistent pedal feel and brake modulation since the Brembo Big Brake Kit for BMW 335i xDrive F30/F34 dissipates heat and eliminates brake dust and gases. 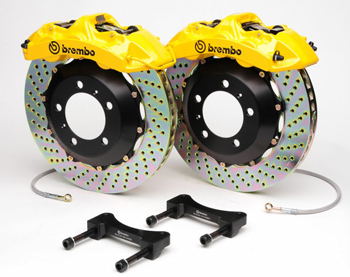 Not only will you be getting the ultimate performance braking system with the Brembo Big Brake Kit, but your car will also get an added aggressive, race-inspired styling after installing these brakes. The aggressive styling of the Brembo Big Brake Kit is especially noticeable if your BMW 335i xDrive F30/F34 has aftermarket wheels, giving your car a fresher, more sportier appearance. 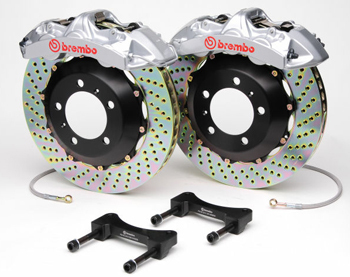 For this reason, the Brembo Big Brake Kit calipers are available in black, red, yellow, or silver finishes.